Backflow testing is critical to the protection of our public water supply. Backflow can occur when street water pressure drops, reversing the flow into the water supply. 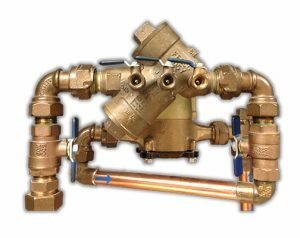 Backflow double-check valves safeguard the water supply by preventing water from reversing direction. Most plumbing and sprinkler installation/maintenance companies have certified backflow testers and it’s wise to check with them regarding testing. You can access a list of certified testers at https://www.health.ny.gov/environmental/water/drinking/cross/backflow_testers/nassau.htm. For more information, contact the Nassau County Health Department, New York State District Office or email the Bureau of Water Supply Protection at h20cert@health.state.ny.us.